As in her masterful previous novel, The Secret River, Kate Grenville uses the early history of European settlement of Australia as a means to provoke and confront us. The reader is forced to reflect upon what she or he would do when faced with the choice between the ‘intention of evil’ and the intention of good, when the choice of good will almost certainly result in catastrophic personal consequences. Grenville has used the lives of two members of the First Fleet, Marine Lieutenants William Dawes and Watkin Tench, to fashion a novel that is a joy to read, but immensely challenging. Isolated from the settlement, Rooke is approached by a group of Aboriginals and, over time, forms a bond with some of the children, especially a bright young girl and through her, begins to piece together her language. For the first time in his life, Rooke feels that he has a place in the world. An attack on one of the members of the settlement leads to a punitve expedition being sent out into the bush and Rooke is ordered to join – their task is to bring back six ‘natives’ to be made an example of. His friend Silk is to be the leader of the expedition and he has chosen Rooke to join him. As Rooke protests, Silk assures him that the Aborigines are too elusive and will never be captured; ‘you could think of it as a piece of theatre’. From the slimmest items of history, Kate Grenville has constructed a tale that will delight and move you. It is fiction at its most powerful, a wonderful story beautifully told that poses timeless and universal questions. 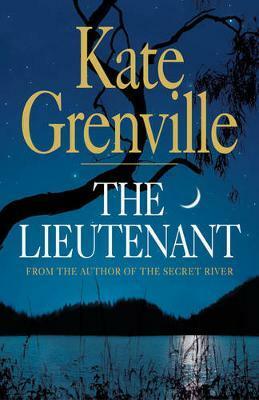 Kate Grenville brings the Australian story to life.